Updated: 8:00 p.m. | Posted: 1:18 p.m.
Minnesota Alzheimer's disease patients will be eligible to use medical marijuana in their treatment starting next August. State Health Department officials announced Monday they've added Alzheimer's as qualifying condition to receive medical cannabis. The decision, part of the department's regular process to review requests for treatment, means patients suffering from the crippling neurological disorder can enroll starting in July with their doctor's approval. "Any policy decisions about cannabis are difficult due to the relative lack of published scientific evidence," Minnesota Health Commissioner Jan Malcolm said in a statement. "However, there is some evidence for potential benefits of medical cannabis to improve the mood, sleep and behavior of patients suffering from Alzheimer's disease." • March: What are we learning about medical marijuana? 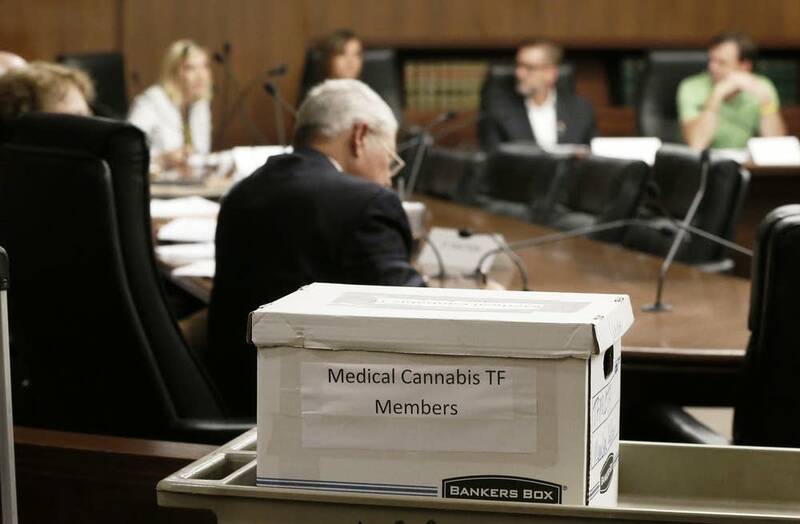 The 2014 Minnesota Legislature authorized the creation of a medical cannabis program and included nine conditions that would qualify a person to receive medical cannabis. State rules allow the health commissioner each year to add other qualifying conditions and delivery methods. Health Department staff reviewed petitions over the summer for requests to add qualifying diseases to the cannabis program, including Alzeheimer's, which Malcolm approved. The department describes Alzheimer's as a "neurodegenerative disorder that mainly affects elderly people. It is the most common cause of dementia. Other symptoms include cognitive impairment, delusion, depression and agitation." In their review, Health Department researchers cited two available studies that found some patients saw improvements in disruptive nighttime behaviors and agitation after cannabis treatment. Dr. Ronald Petersen leads the Alzheimer's Disease Research Center at Mayo Clinic and Mayo's Study of Aging. He says the Health Department's action gives doctors and patients another option to treat symptoms of the disease. "The thinking is that sometimes people start to realize that they're not thinking, remembering as well as they formerly did and that may lead to an anxious state for them," Petersen said. But Petersen is careful to point out that far more research needs to be done on marijuana's efficacy as a treatment. He said with medical cannabis legal in many places, it shouldn't be too hard to find patients to observe. "The studies can be done with humans to do a placebo-controlled study to see if for example medical marijuana may reduce anxiety and fear and improve the quality of life of patients with Alzheimer's disease," he said. Cancer, amyotrophic lateral sclerosis, intractable pain and HIV are among the diseases eligible to receive medication from Minnesota's two state-approved medical cannabis producers.